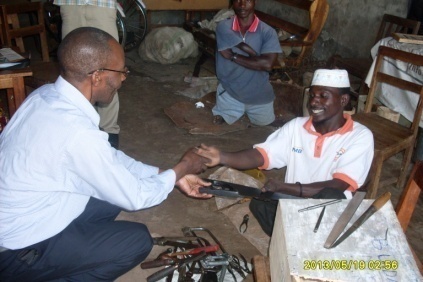 Mr Elias Zacharia receiving tools from TFSR Cymru on behalf of the BUDAP – Bukoba Disabled Assistance project. 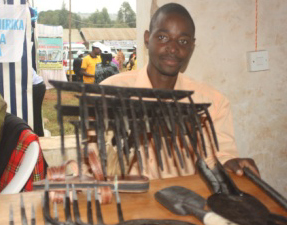 The Nane Nane Exhibition is held every year on the National day for Farmers on eight eight – 8th August. 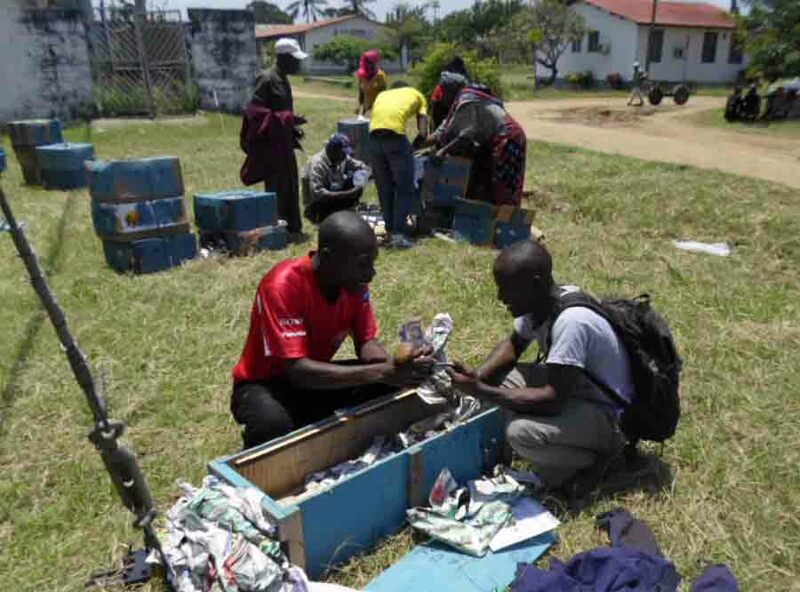 Groups opening their kit boxes outside the SIDO Tanga Region offices. 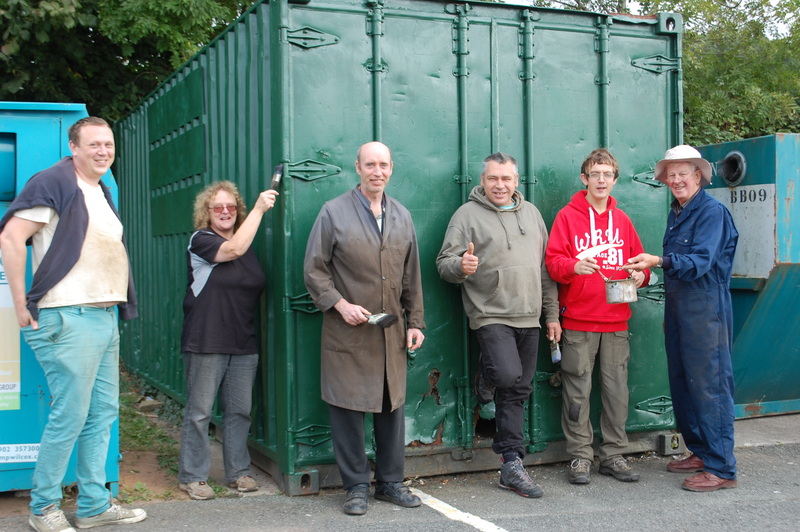 This was the first stop for our recent container. Groups get a days “introduction to their tools” when they learn about any tools they are unfamiliar with. 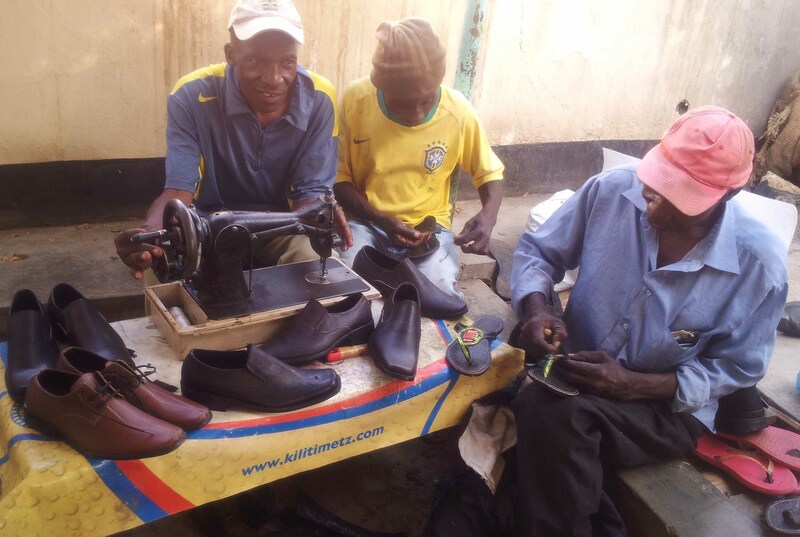 Members of Baruti shoe-makers working at their normal activity of making shoes. The group has 6 members; 3 fundis and 3 trainees. They have already received a shoe repair kit from TFSR Cymru, and they will soon be getting an electric sewing machine – sent in the last container. Mr Abdullah Boma in Mwanza. learning the magic of treadle base making. He is spending 4 weeks at the Mwanza Sewing Machine Training Centre, which is funded by TFS, our brothers and sisters in Belfast. When he returns home to Tanga he will be able to make treadle bases, not only for the groups for whom we have provided hand machines, but also for the many women in Tanga who would like a robust treadle sewing machine. 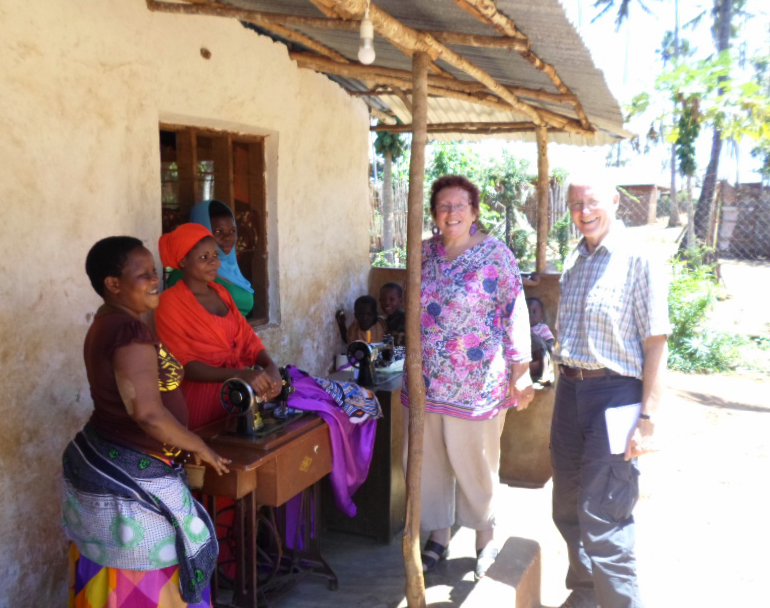 Robina and Terry Richter visited Tanga region recently. Bina was a chair of TFSR many moons ago. Here they are with the Safina Tailors Group who have received sewing machines from Wales. Bina and Terry were very impressed with how the women, working in a very rural environment, were able to train youngsters and make a wide variety of quality clothing. It is with great sadness that we have to announce that one of our Patrons, Dr. William Shija died recently in London at the age of 67. He is survived by his wife and five children. 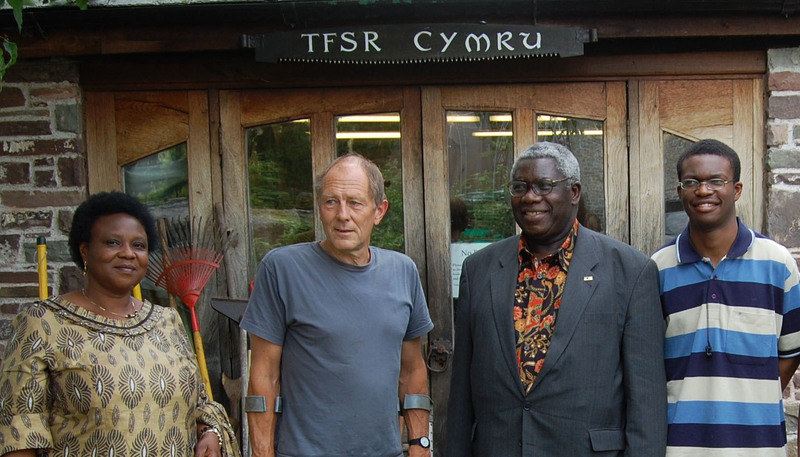 He was a loyal supporter of TFSR Cymru. We send our condolences to his family. He is seen here visiting our workshop in 2009.